We are in the planning stages... Please check back for 2019 intern/volunteer opportunities. 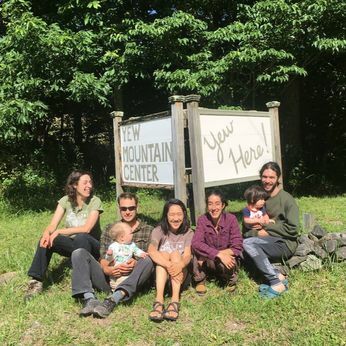 ​We are a new organization with lots of dreams and potential and we are seeking energetic and creative people to help us make the most of the Yew Mountain Center. As members of our second residential volunteer crew, interns will be helping us refine our systems, create and improve infrastructure, improve programs, and realize some of the potential on this 500-acre natural treasure. We want this experience to be a mix of work, learning, fun, and recreation. We want our interns to get to know our community of neighbors who gather often for music, good food, and visioning a brighter future in these mountains. We want to learn from them and make the most out of their energy and ideas. We hope they will come to love this place as much as we do! We have a diverse menu of projects happening at the center. 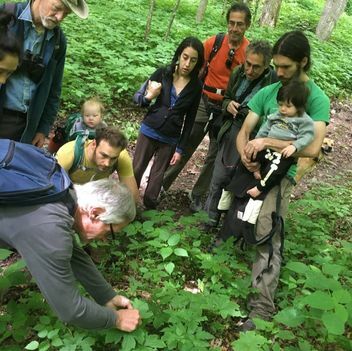 Interns will help us with our new forest farming initiative—planting native plants that have market value, mapping sites, and creating interpretive trails. We hope to plant a variety of gardens too. We have cabins to restore, campsites to develop, and other carpentry projects. Interns help support and create programs. 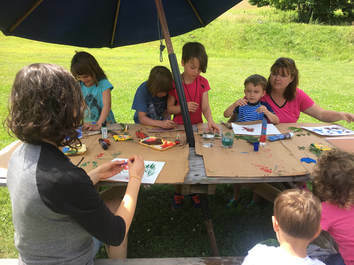 They can have a role in creating outdoor education curriculum, creating educational materials, envisioning and installing artistic touches indoors and out. Interested in food, the arts, music, nature, education? There will be numerous ways for interns to have an impact at YMC during this month and beyond. Interns should present a positive, friendly, and professional image to visitors. They should demonstrate accordance with the mission of the organization when in community spaces on the property. They should adhere to the YMC board-approved code of conduct for employees and volunteers. No underage drinking or illegal substance use will be tolerated. Interns should maintain helpful presence during programs. Interns may use common spaces in the lodge but should defer to paying guests. These volunteers will be provided a bed in our bunkhouse with a shared kitchen and dining room. The living arrangements are like that of a youth hostel—a step above camping in terms of comfort, but with less privacy than a hotel room. Each room is in its own bay with a curtain for privacy. Hot showers and flush toilets are available a short walk to our lodge and a primitive latrine is located just outside the bunk house. The interns will participate in the smooth flow of team-building by being part of the team of volunteers and staff who care about the YMC facilities. As such, the intern’s ideas and suggestions for facilities improvements will be taken into consideration whenever possible. Interns will work on many projects as a team, but can have individual tasks as well. We expect individuals to respect and learn from each other’s differences. Discrimination based on race, sexual orientation, gender, religious beliefs, age, or background will not be tolerated. Likewise, sexual harassment or harassment of any sort is grounds for dismissal. All volunteers will be expected to sign and adhere to the Yew Mountain Center Code of Conduct. Interns will work 25-30 hours per week under the supervision of a team of YMC staff. They rest of the time, they will be unsupervised. There are many attractions on-site and nearby that we encourage our interns to enjoy during their off time. The community will provide some meals for our intern crew, but most of meals will be the responsibility of the intern. Ours is a supportive community dedicated to encouraging and nourishing young people. We will be looking out for the health and well-being of our interns. However, interns should be capable of making responsible decisions for themselves without much supervision. The stipend is $300 for the month. ​Click the application below to download the Word doc. Please mail or email the completed application by the priority deadline. We may ask for a phone interview. If we still have open spots, we may accept applications after this deadline. We will notify candidates within 2 weeks of receiving completed applications.